Seize our amazing offers below and book a premium quality cleaning service at such low prices! Offers are time limited so hurry up and grab a bargain now! Get a 20% discount for 2 months when you sign a 1 year contract. Offer is valid for services starting from once a week per 3 hrs onwards. Offer applicable for new clients only. Cleaning materials are not included in the price. Terms and conditions apply. 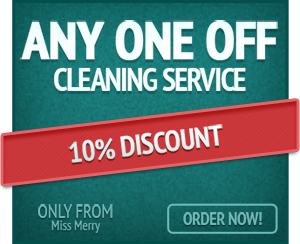 Miss Merry gives an amazing offer of 10% discount now! 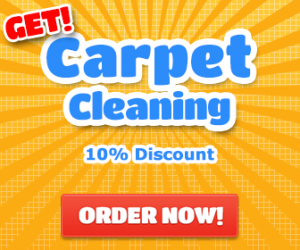 Grab 10% OFF when you book carpet cleaning for £120 or more. No obligations. Terms and conditions apply. 10% discount with no obligations! Try Now! Get a discount of 10% when you book this service. No obligations. Valid for orders of £100 and over. For more information please call 020 8556 3919. Terms and conditions apply.